Tips & Tricks By A Beauty Therapist: Why Do We Need SPF? I'm thinking of starting a new series on my blog where I give you tips and tricks for your skin. I will be giving you the tips from my knowledge of being a beauty therapist. Throughout my career I have learnt a lot that I didn't know before so im going to share that will you! We hear all the time how damaging the sun can be for our skin and that we must protect it at all times! and this is very true. Even when the sun isn't out (most of the time in the UK) the sun rays (UVA/UVB) still get through and can damage the skin its its unprotected. What does UVA and UVB mean? Well UVA rays penetrate right down to the Dermis which is the second and thickest layer of the skin. If your skin is unprotected this can lead to premature ageing and skin wrinkling! UVB rays will usually cause burning to the top layer of the skin and this can be a leading factor in causing skin cancer. This alone proves just how dangerous the sun can actually be. Remember when we were young and you would get slavered in white sun cream! Did you even know why? Because I didn't. Firstly there are two types of sun cream, Physical and Chemical sun cream. The physical sunblock is inorganic chemicals such as Zinc and Titanium Dioxide. These reflect UV rays, like how white things reflect the sun this is why some sun creams give you that white or greyish colour to the skin. The Chemical sun cream (absorbing) contains organic chemicals such as Avobenzone. Instead of reflecting the sun like the physical sun creams do this type of sun cream absorbs a certain amount of UV rays and then the components of the sun cream break it down (I know a lot of science!). Most sun creams nowadays have a bit of both in them making then better for sun protection. Taking the pros and cons into consideration I would suggest in finding a Sun Cream that contains both physical and chemical properties in one. You could also layer both physical and Chemical sun creams for maximum results. What is SPF & How Does It Work? SPF stands for sun protection factor, this means this it measures the level of UNB protection (UVB causes the burning to the skin), Some sun creams also protect again UVA rays. So how does it work? I think some people get a bit confused about this. SPF indicates the time that your skin is protected from burning, For example if your skin starts getting burnt in the sun without sun cream after 5 minuets then applying a suncream at SPF 30 means it would protect your skin for 30 x 5 minutes which is 150 minutes. That means that it would take 150 minutes before you begin to burn with the SPF on (I hope I havent confused you too much). This will also depend on your skin type, time of year and your location. The different levels of SPF means that a higher SPF extends the time you are protected in the sun. It is recommended anyway that you use between a SPF 15-50 depending on your skin tone and type. It is also recommend for you to apply SPF every two hours to make sure that you have maximum protection at all times! Now that were getting into warmer weather (hopefully) more sun creams will be coming out and its important that you get your hands on them. 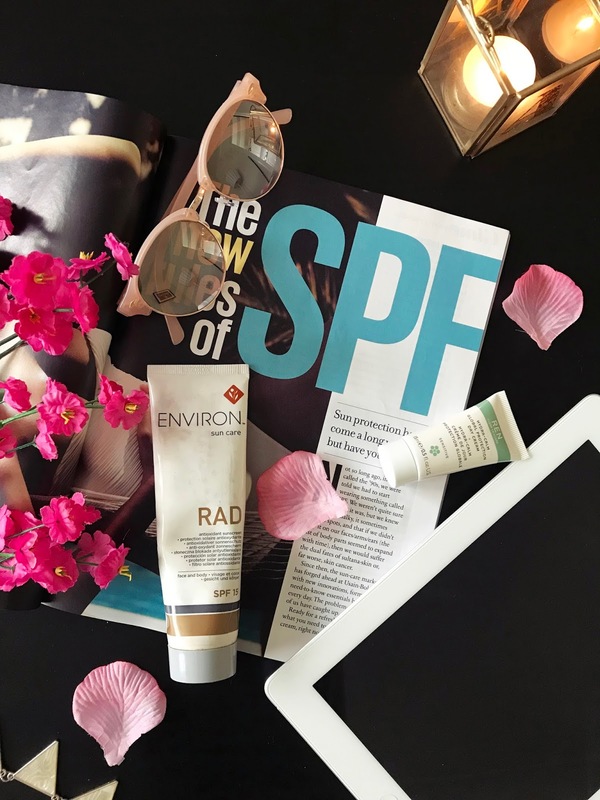 What is your favourite SPF?